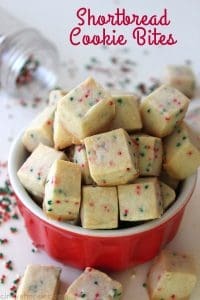 If you are looking to serve a bite sized snack during your holiday parties, these Shortbread Cookie Bites will be perfect. 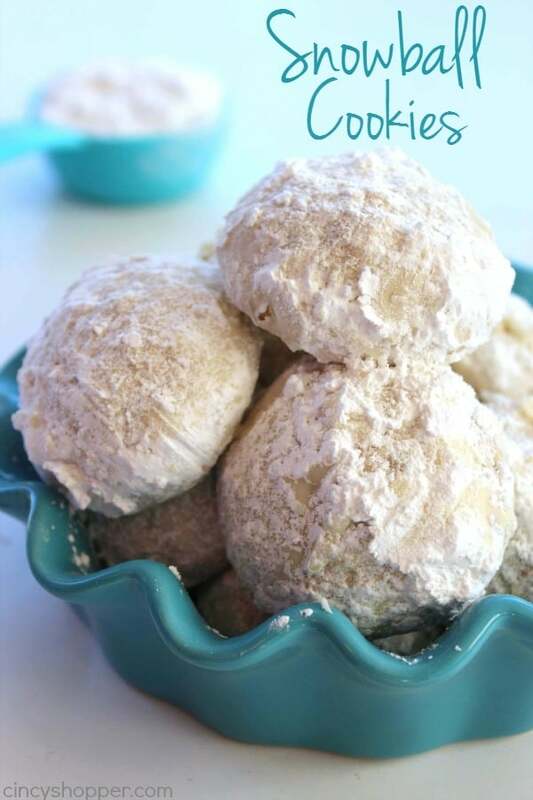 They are super simple to make and are perfect for snacking. I spend quite a bit of time on Facebook during the day sharing recipes to my page. Last week, I spotted one of those awesome Delish videos, you know the fast moving catchy videos you see everywhere now. 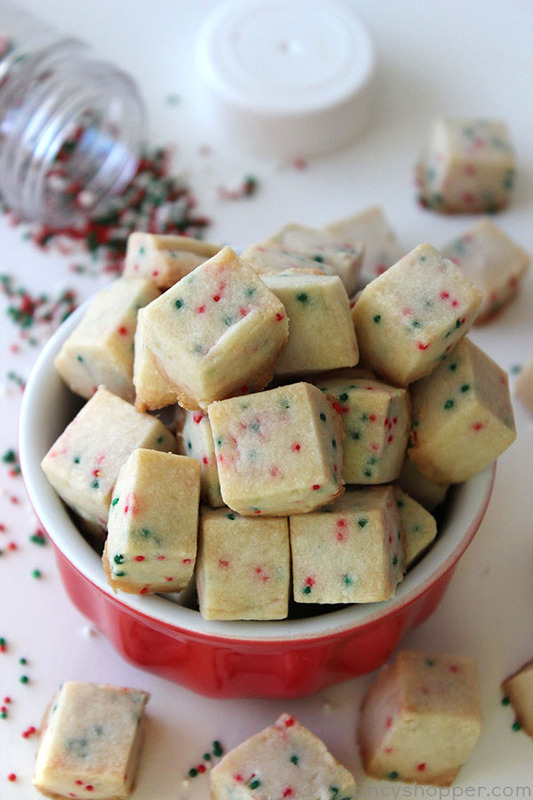 As soon as I seen this recipe over on Delish for Shortbread Bites, I knew I had to make them. My kids are always on the go, in and out heading to classes and I knew they would be perfect for them to grab a couple here and there. They love shortbread cookies especially during the holiday season. 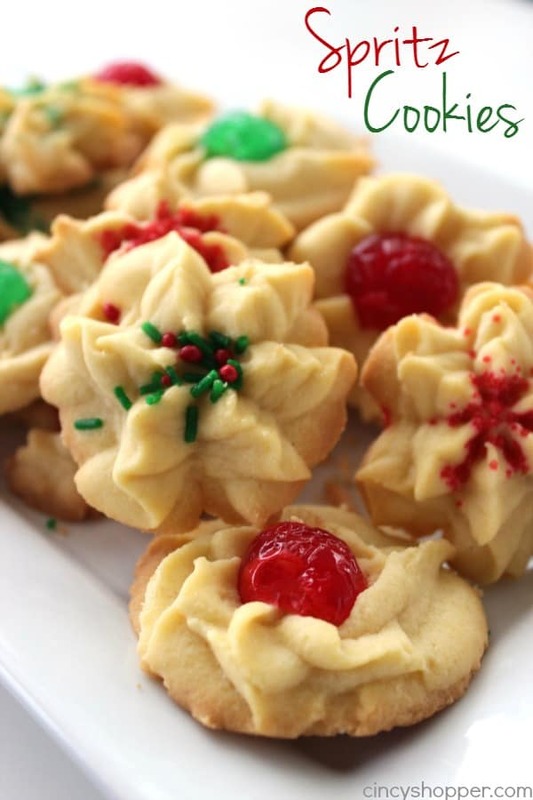 I have not had a chance to make our favorite Spritz Cookies yet this holiday season and I love trying new recipes so this recipe seemed perfect. Just as I suspected, they had my one batch I made gone within a few hours. Everyone would just grab a couple here and there and before I knew it they were gone. I had the chance to nibble on a few here and there with my evening coffee. I LOVE shortbread cookies and the bite size was perfect for snacking. 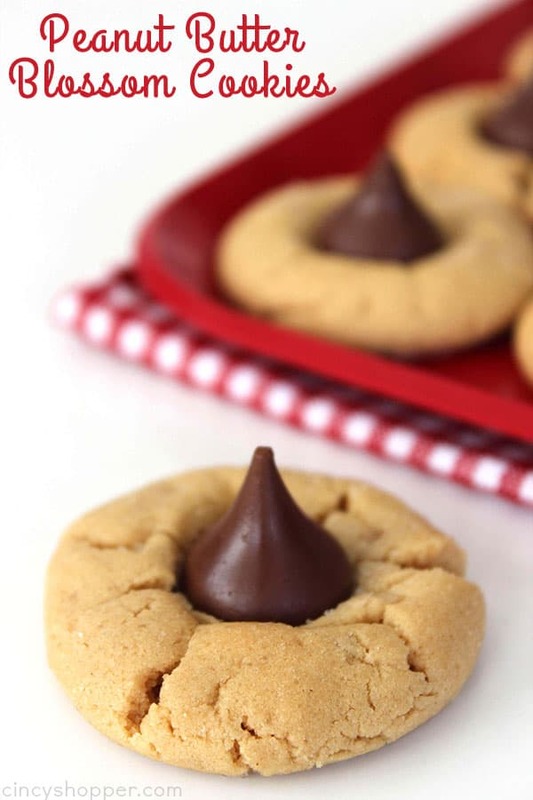 If you have guests over for the holidays, these little bite sized cookies will be perfect. 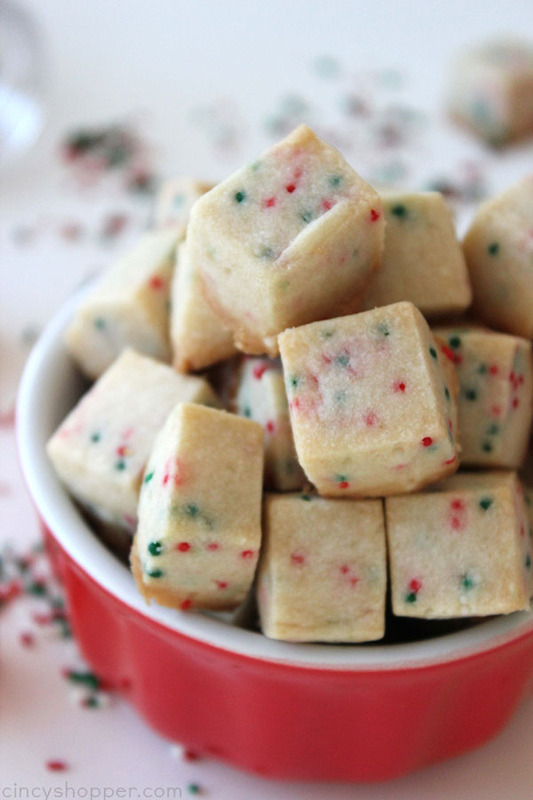 Toss them in the middle of your cookie trays. I will guarantee they will be popular. 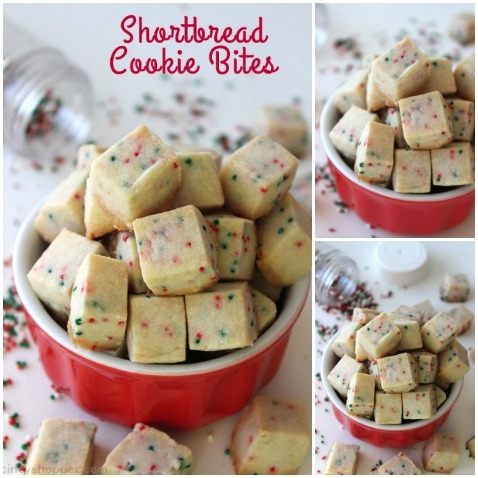 Just a couple of simple pantry ingredients are needed to make these Shortbread Cookie Bites. 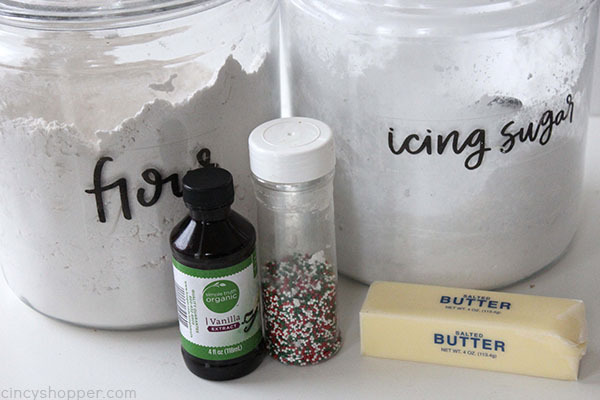 Grab your butter, flour, powdered sugar, vanilla, and some christmas sprinkles. You can have these little bites in the oven in no time. Line cookie sheet with parchment paper. Set aside. 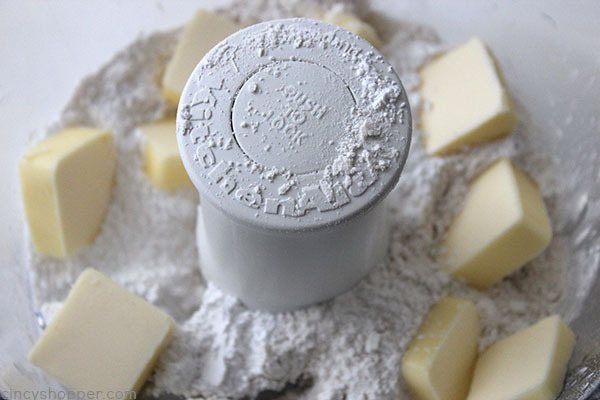 Add flour, sugar, vanilla and butter to food processor. 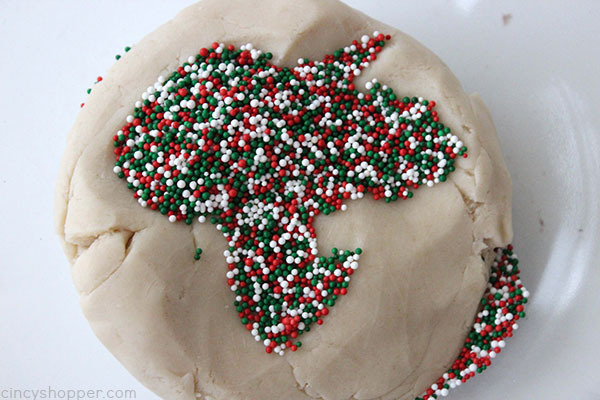 Add sprinkles and knead until blended. 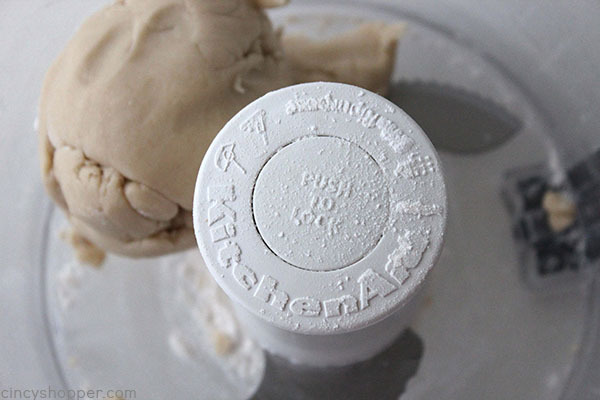 Roll out dough and form into about 1/2″ thick square or rectangle on waxed paper. Place in freezer for 15 minutes to firm. 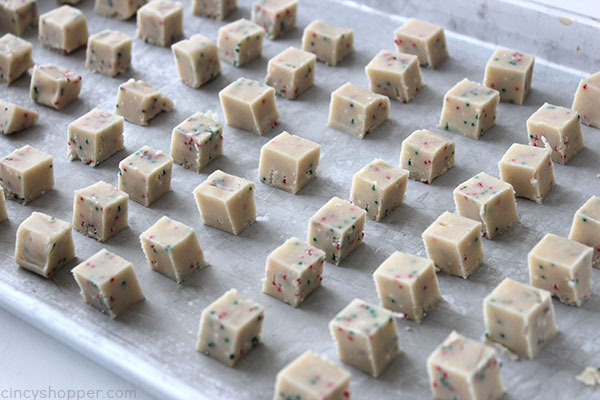 Cut dough into 1/2″ cubes and place onto prepped sheet. Bake until bites are lightly brown (about 18-20 minutes). 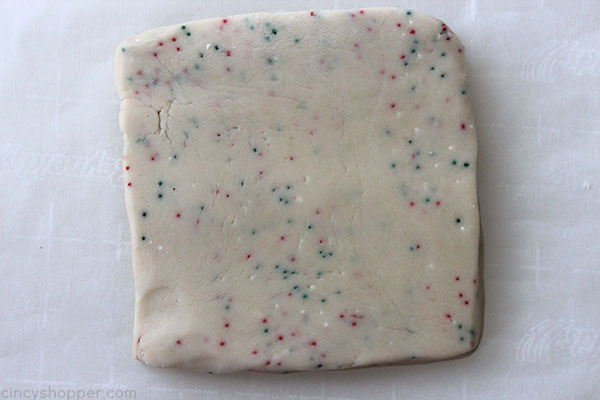 Roll out dough and form into about 1/2" thick square or rectangle on waxed paper. Cut dough into 1/2" cubes and place onto prepped sheet. What an excellent idea for the office cookie plate! What do you suggest for those of us that do not have a food processor? I’ll bet that I am not the only one! This looks like a great recipe & I would hate for other cooks to pass it by. Thanks! I did it by hand. It took a bit longer but I added a teaspoon of water to make it bind quicker. These are SO cute! I think my favorite part about them is that they are bite size! 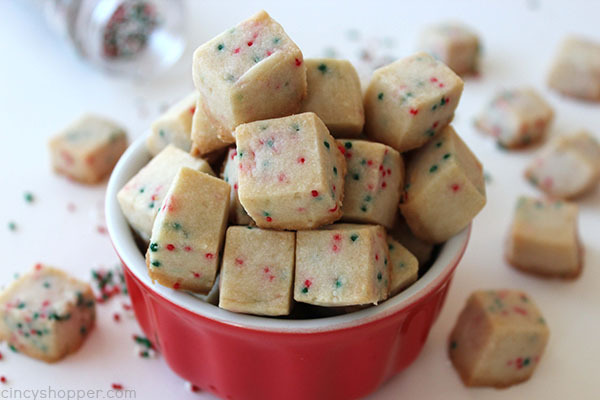 Totally great for staying on track during the holidays!